A record attendance of 420 participated in the fourth Panel & Engineered Lumber International Conference & Expo held March 20-21 at the Omni Hotel at CNN Center in Atlanta, Georgia. Driven by improving markets in structural and non-structural wood products, attendance represented a whopping 33% increase over the previous PELICE in 2012. Two-dozen forest products producer companies sent representatives to PELICE to hear 45 speakers address project development, new technologies, products, issues, trends and forecasts in softwood plywood, oriented strandboard, engineered wood products and composite board segments. 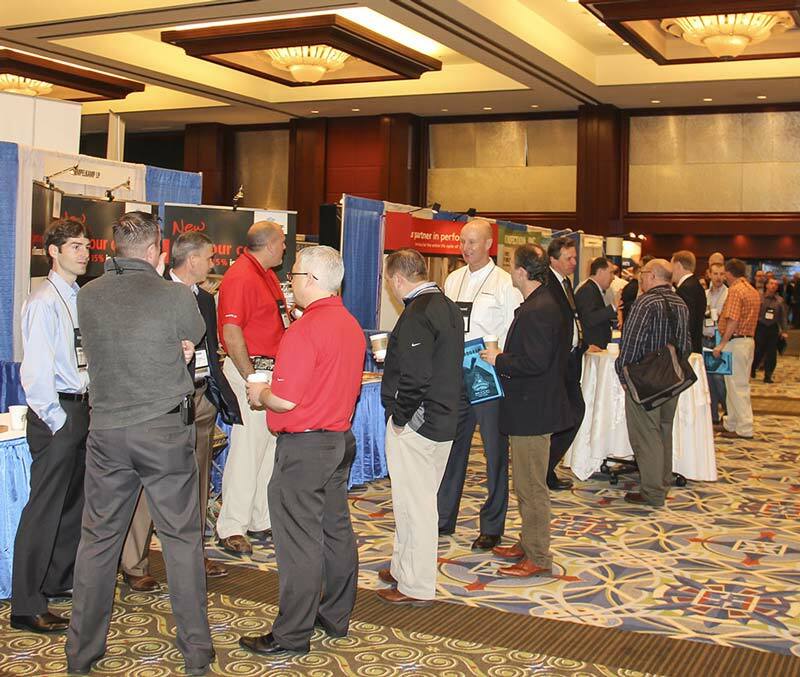 Attendees also combed the aisles in the Grand Ballroom North, where a sold-out exhibitor floor featured 75 machinery, supplies and service companies. PELICE featured 10 keynote speakers during three general sessions. Kelly Shotbolt, president of Flakeboard Company Ltd., addressed Flakeboard’s acquisition by Chile’s Arauco and how the integrated companies are aggressively pushing into the new era of composite products supported by high technology and maximum utilization of the forest resource and low-cost production conversion to finished wood products. Brian Luoma, senior VP and general manager, Engineered Wood Products, Louisiana-Pacific Corp., spoke about LP’s view of the next generation of EWPs and how the company has prepared and positioned itself to meet the surge in wood products demand with existing and new strand product capabilities. In addition to the general sessions, breakout sessions covered Adhesives & Research, Veneer Drying Technologies, In-Line Board Enhancements, Air Emissions Technologies, Dust Control and Operations Management. Look for additional coverage in Panel World magazine and on this website.